1.Self-protection: GT1 Pro Multiplexer will be turned off by itself if the voltage surpasses 15.8V during your testing, and it will restart if the voltage below 15.8V automatically. 4. TwinB is very small and convenient to carry. It is very useful for site operation. Add. : No.25buinding HeShuiKao Second Industry Town GongMing ShenZhen PRC. Customer get the Relevant Discount in the next order! 1.Warranty Service:one year.and do not try to connect to internet without our agreement,any problem in ordered span,please contact to us. OBD Diagnostics warrants the products it sells to be free from manufacturing defects for a period of 1 year from date of sale. This warranty does not include damage from abuse or normal wear and tear. 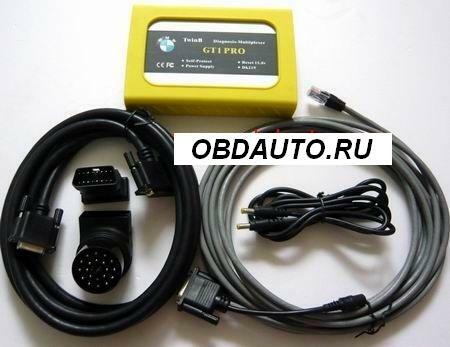 OBD Diagnostics will repair or replace the product at our option. Shipping to OBD Diagnostics is the responsibility of the sender, OBD diagnostics will pay return shipping back to the sender via standard shipping. It shall be the business policy of www.obdauto.com that our return policy offers 100% guaranteed money back within 15 days, regardless of the reasons. This money back guarantee does not include the shipping charge. This money back guarantee does not apply to our products. Download update software without tell us Out of warranty !!!!! !